These Spyder® Chrome U-Bar Projector LED Headlights for your 2015-2016 Chevy Silverado 2500/3500 HD truck are a great way to make your vehicle stand out. All Spyder Headlights are direct fit replacements for the factory headlights with very easy installation. 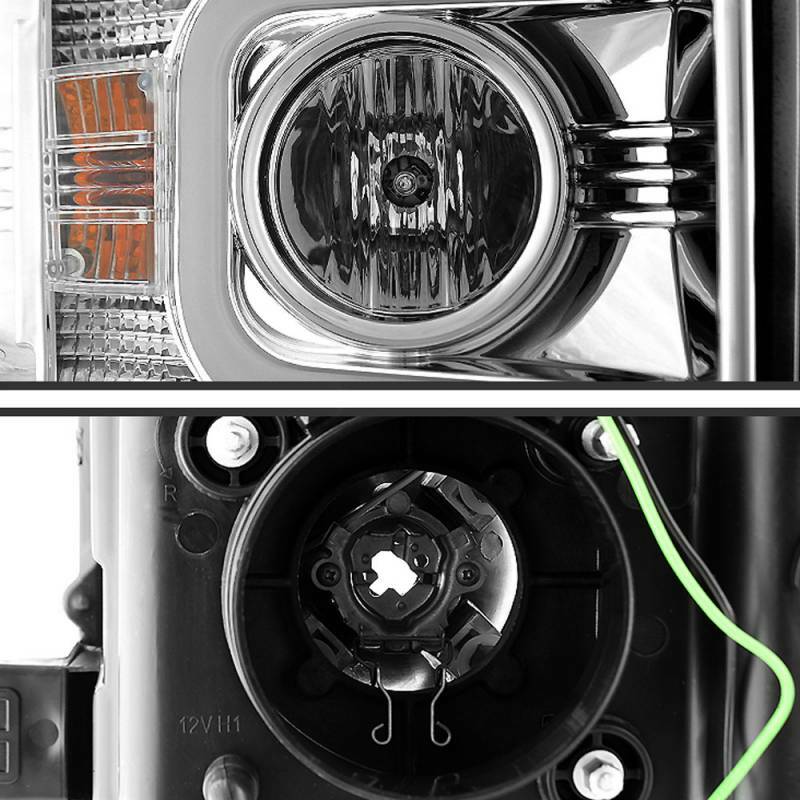 In addition to excellent performance, these headlights feature U-bar halo rings that provide a unique and personal look. Originally these halos are open on one side forming a visual 'U' on designs. The open edge may face the top, down or to the side. 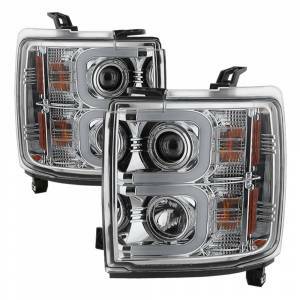 These headlights from Spyder are designed for stock lights direct replacement, so you can be completely confident that their installation will be trouble free. Made with OEM standard quality using first-class materials, these products provide the ultimate in strength and durability. They are made by OEM approved and ISO certified manufacturers. Every Spyder headlight undergoes a rigorous testing and quality control process before it leaves the factory. 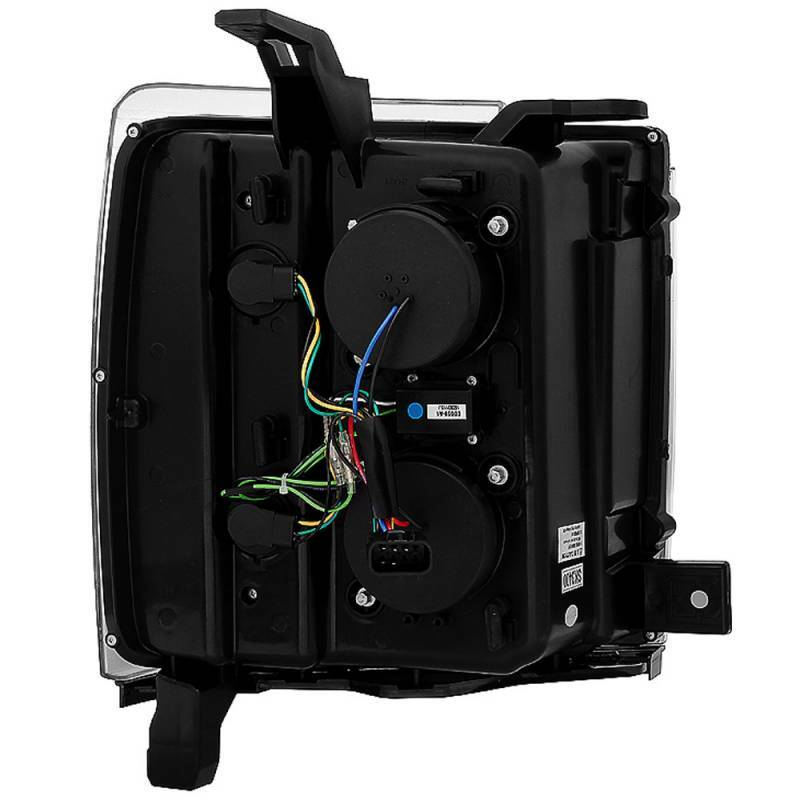 All wiring is tested to make sure the light is completely functional, and the housing is sealed with high quality silicone to ensure that no moisture can become trapped inside. Spyder lights are approved by the Society of Automotive Engineers (SAE), and ISO-9000 and ISO-9002 certified. They meet all U.S. Department of Transportation (DOT) regulations, and are compliant with Federal Motor Vehicle Safety Standard (FMVSS) 108.